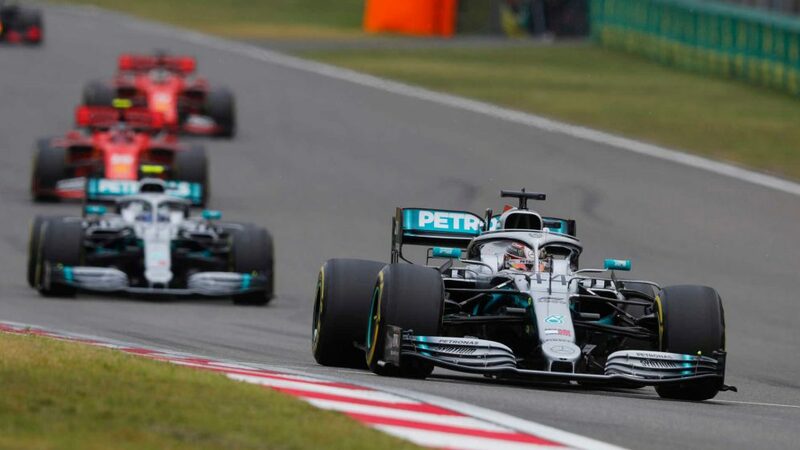 Right now it seems that Lewis Hamilton can do no wrong, as he won his 11th race out of the 21 held in 2018. Fresh from taking his 83rd pole position, and his 52nd in the last 100 races, his 73rd career victory marked his 51st win in that last 100. By any standards those are impressive figures. 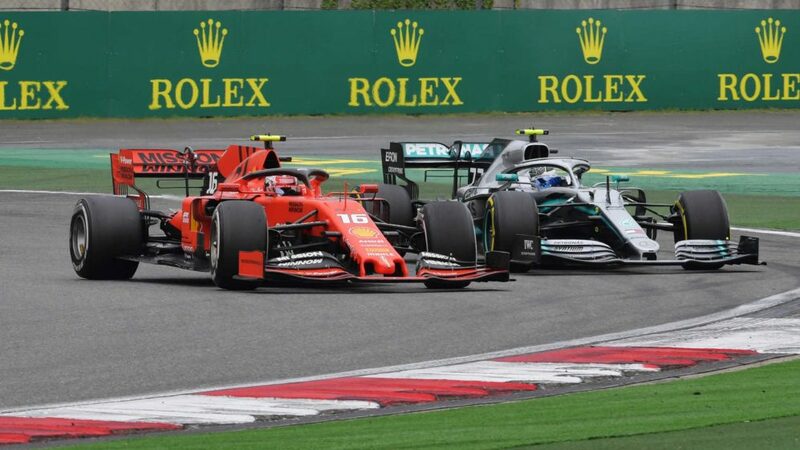 Yet it seemed when Mercedes quickly pitted him under the Virtual Safety Car on the seventh lap for Kimi Raikkonen’s power-starved Ferrari, that once again they had given him the task of running longer than his rivals on the same rubber as he switched from ultrasoft to supersoft tyres. Sebastian Vettel did not stop until the 15th lap to do likewise, and Valtteri Bottas until the 16th. Max Verstappen went until the 17th on hypersofts, while Daniel Ricciardo went a whopping 33 on his ultrasofts. 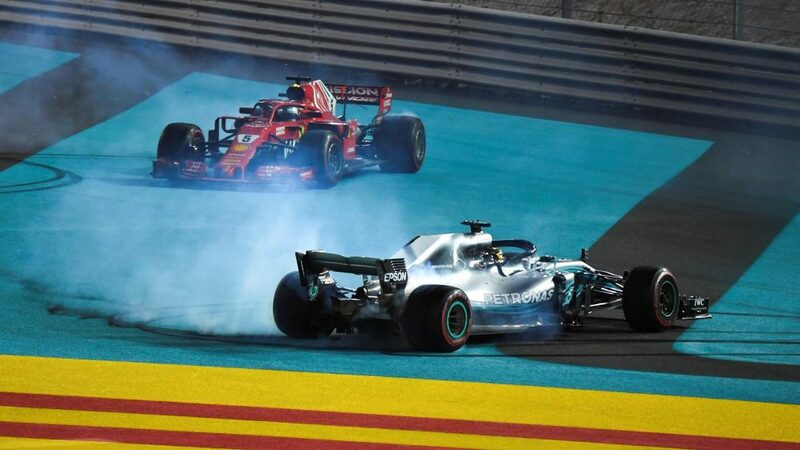 Lewis was heard asking why he had been sent out in so much traffic as he dropped to fifth, momentarily overtook Verstappen, but was quickly repassed. “My engineers always talk about stopping super early,” he said later. “They're way too chilled behind the wall! And I was like ‘Yeah, I’ve got a long way to and this doesn’t feel too good right now.’ But they lasted long, once again they were calculated and correct and that’s why we have to put so much trust in those guys. “But the tyres didn’t feel very good early on when the fuel load was still quite high. 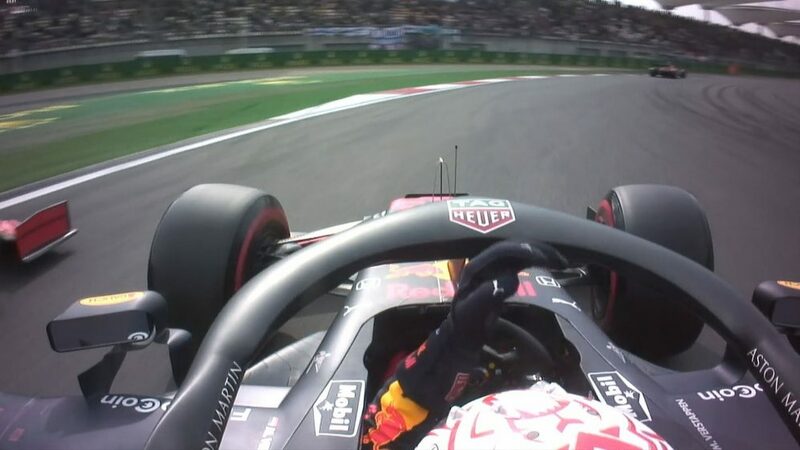 There are quite a lot of races where we are not able to push to the maximum because the tyres just overheat, but that’s been the name of game for quite some time,” he added, and once again that was the case here, which meant that he had to run a canny race, looking after his rubber rather than pushing hard. But, even though his pursuers were lapping quite a lot faster than he was at times, he clearly had everything under control as he moved to within 18 wins of Michael Schumacher’s record of 91. Remember the days when Alex Zanardi used to dominate IndyCar races in the late Nineties? He invariably did the odd donut, and the crowd loved it. Such things were for a time regarded as undignified in F1, but, although I’m not overly enamoured of the strain they put on a car, I’m glad they are back. 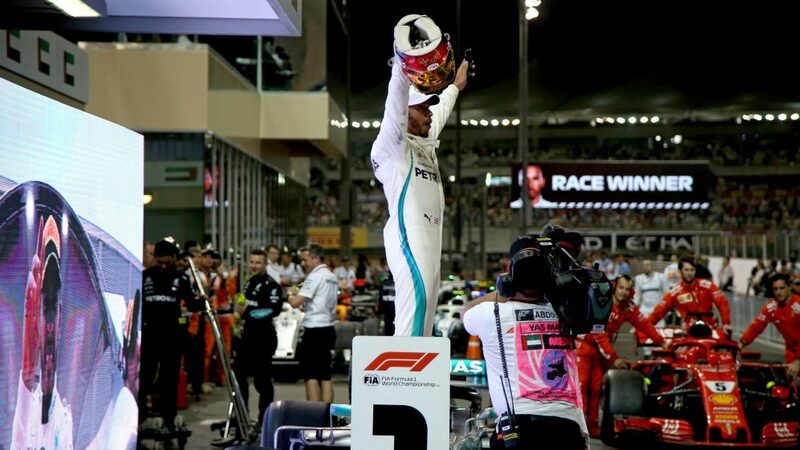 Lewis delighted the Mexican crowd with some a month ago - now he did it again in Abu Dhabi. 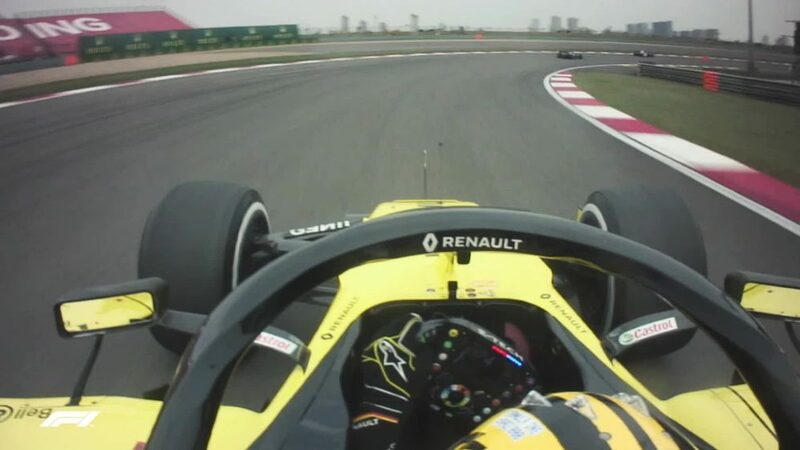 And this time he was joined by Seb on the slow-down lap. Even better, Fernando Alonso got in on the act as he joined them in a spectacular bit of automotive entertainment on the pit straight, to the delight of fans across the globe. I’m glad we live in more enlightened times. So, farewell then, Fernando Alonso, as they say. In case you missed it (and how could you? 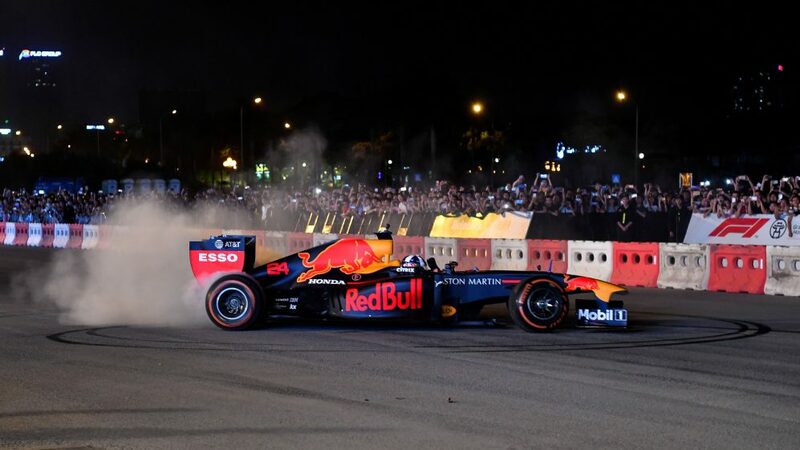 ), the plucky Spaniard had his last Grand Prix in Abu Dhabi, and there were a host of events to celebrate what has been a great, if frustrated, career which saw the 37 year-old from Oviedo win two world championships and 32 Grands Prix, and record 22 poles and 23 fastest laps, in his 312 starts. Sadly, he just missed out on rounding his score of 1899 world championship points to 1900 as he finished 11th, and there was more than a hint of cavalier behaviour towards the end as he thrice got penalised five seconds for running off track and gaining an advantage. As a parting gift, the race stewards later awarded him three penalty points on his licence for corner cutting. Go figure. 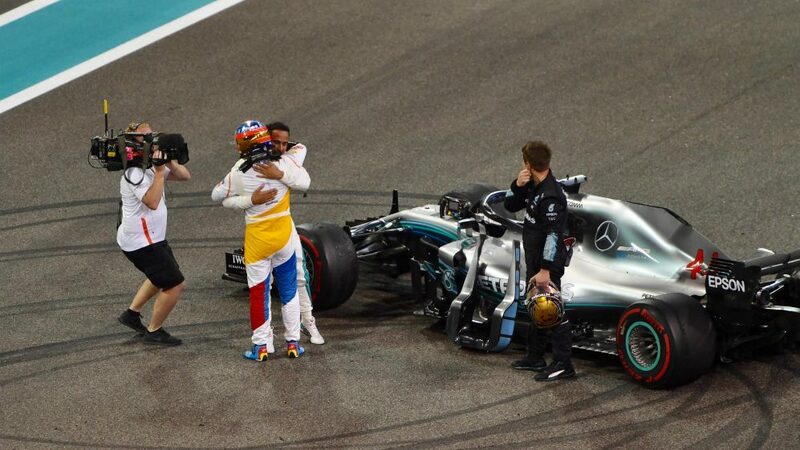 Real sportsmanship is a wonderful thing, and it was quite emotional to hear the tributes played to him by both Lewis and Sebastian after the race. But when David Coulthard asked him whether he would come visiting, the smirking Fernando was ready with his response. 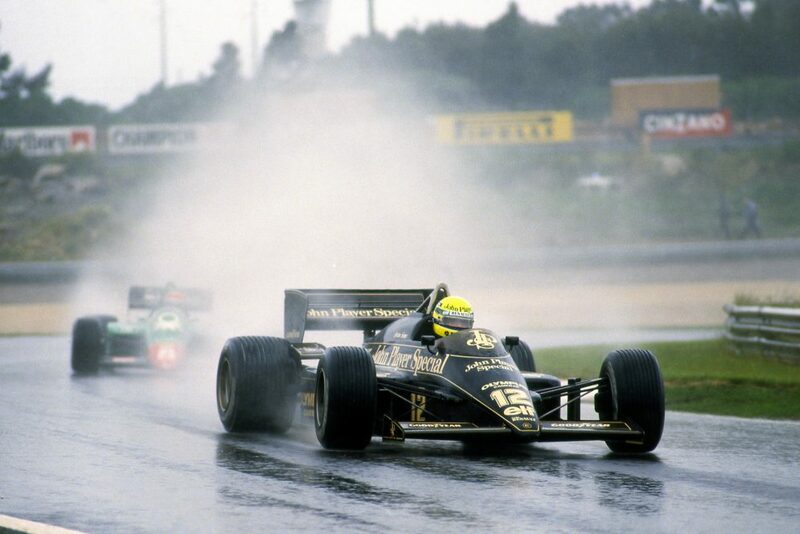 Without question, he is one of the greatest drivers of his era. 4. Or welcome back Fernando? For all that, I heard an interesting whisper over the weekend. It seems that Fernando will test the new McLaren MCL34 in Barcelona next February, as part of McLaren’s pre-season preparation. I guess we have to wait and see how much credence to give that one - a fun rumour nonetheless! Just when you thought it was safe to go back into the water… Verstappen/Ocon Part Two! 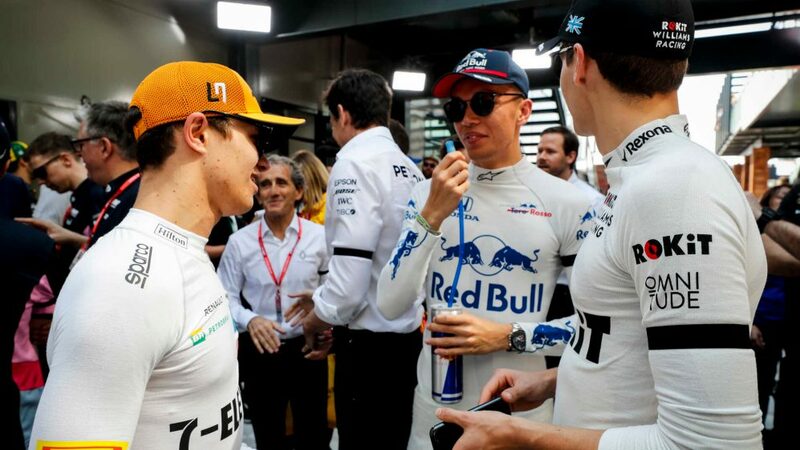 I thought it was brave (and apposite) that the FIA brought Max and Esteban back together in Thursday’s press conference (and, perhaps, that they sat Sebastian and Kimi between them). It was clear then, as we already knew, that there isn’t a lot of love lost between the two young stars. And they reminded us of that again in the race. Max had to fight his way through after his engine went into a security protection mode at the start and again on the restart. And on the sixth lap that meant dealing with Esteban’s Force India. But this time both were on the same lap. Max biffed him out of the way as they exited Turn 7, only for Esteban to respond by repassing him on the straight. 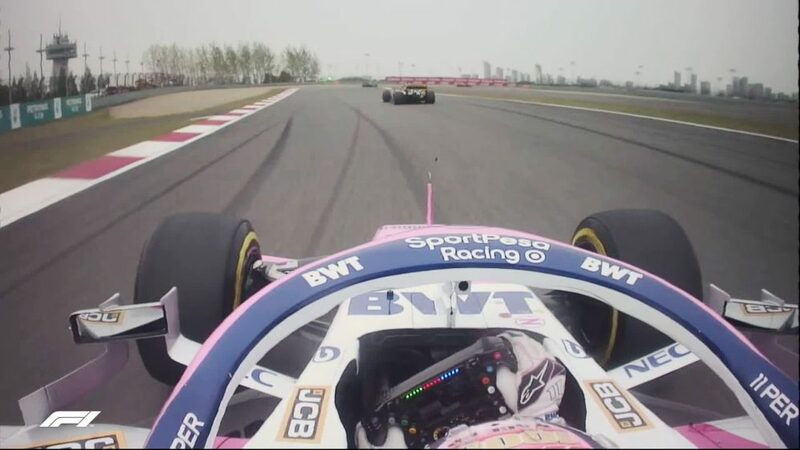 It looked as if this encounter might also end in tears, but then Max out-braked the pink car going into Turns 8 and 9, and that was sadly the end of it. It had been fun while it lasted. 6. Does Vettel need to change things in himself? 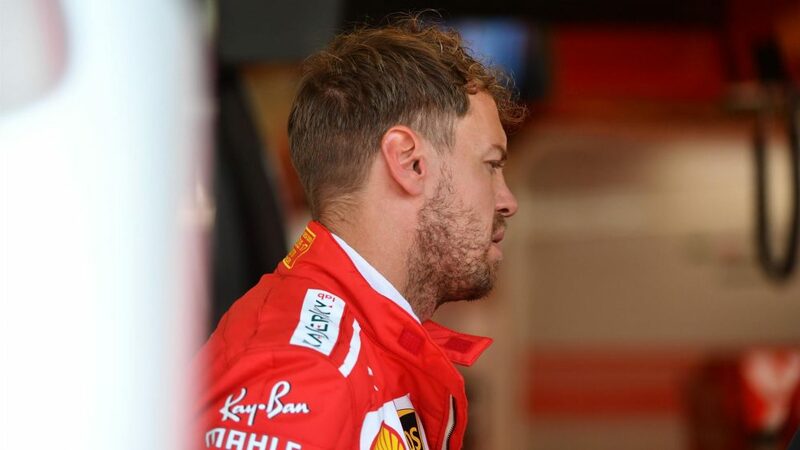 Sebastian was in introspective mode when asked whether he thought he needs to change things in his driving, after so many errors cost him dearly in his world title campaign. “I think, naturally, the year I’ve had, I don’t think I ever have any problems raising my hand if I made a mistake. 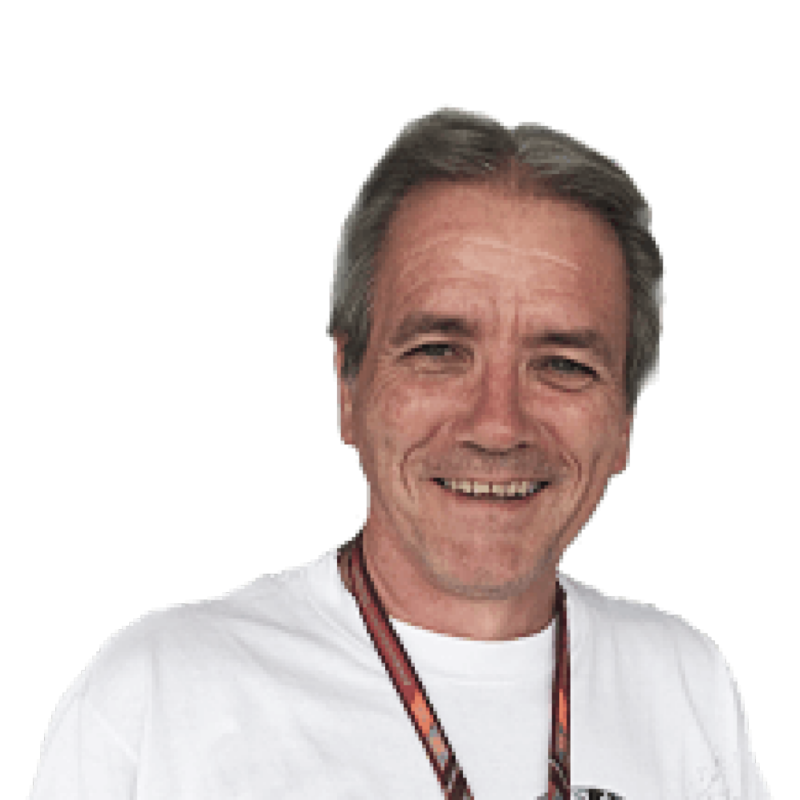 I think, knowing as well, as a racing driver, how quickly things can go wrong, how quickly things could have gone differently this year, I have to review a couple of things. But there’s other things that I think went wrong and don’t need a lot of reviewing and not over-complicating things too much. “I think I know what I need to do. Certainly, here and there, looking back I haven’t been at the top of my game so… I look at myself first. I think I can be better than I was at times this year. Having said that though, I think we also had a lot of races where we got everything out of the car and the package and I felt that I did everything I could. I was happy with that. Part of his therapy over the off-season will be restoring the first motorcycle he owned. 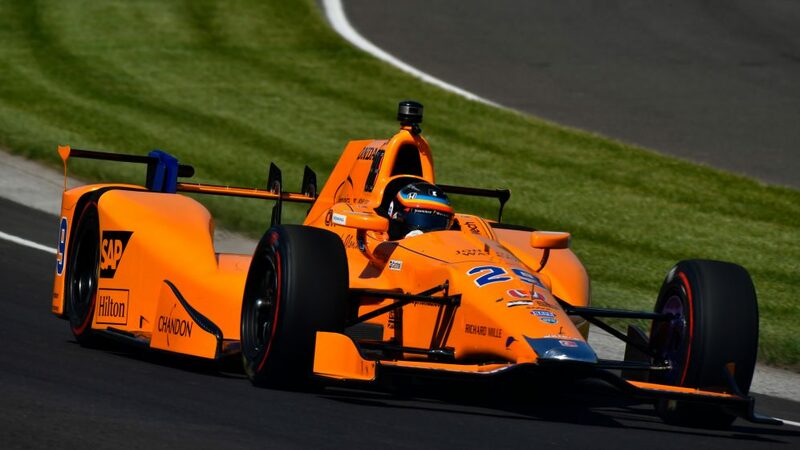 There are some, myself among them, who believed that McLaren's trip to the Indianapolis 500 last year, while an interesting adventure that was a throwback to the team’s old days, was fundamentally disruptive to its F1 campaign. And that doing it again in 2019 made little sense when the team can’t get anywhere close right now to an F1 podium, let alone wins. But CEO Jonathan Neale explained the rationale over a coffee on Saturday and a light came on in my head. NASCAR legend Jimmie Johnson was in Abu Dhabi, ready to switch cars with Fernando Alonso in Bahrain on Monday. It’s been a while since he drove a single-seater, but of course he was looking forward to the experience. But not many people know that he might also drive legendary hydroplane racer Bill Muncey’s famed ‘Blue Blaster’ from 1980. There’s a wonderful photo taken by veteran lensman Bill Osborne of a small four year-old in a yellow sunhat sitting on the back of Muncey’s stricken boat after it had broken down in San Diego back in 1979. That was Jimmie. “One of my supporters dated Bill’s daughter Laura for 11 years,” he said,” and they had pulled me up on the boat that day. 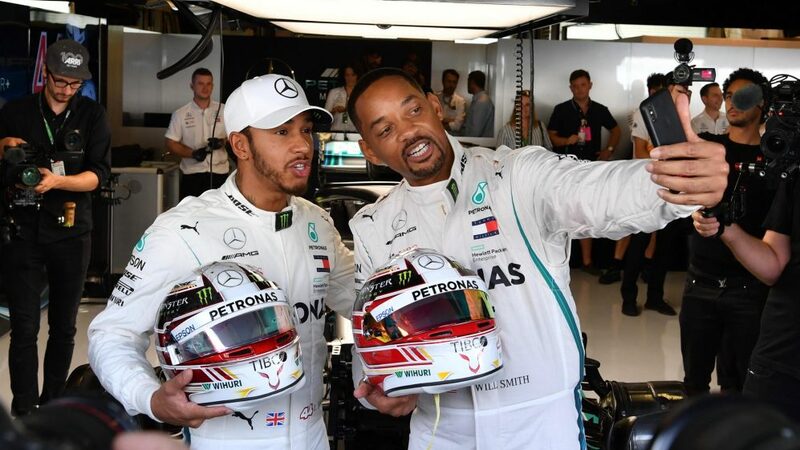 After the race Hamilton revealed that he’d had an unconventional weekend, which included hanging out with actor Will Smith and involved filming with him up until 10 minutes before the start. Indeed, it looked as if the Hollywood star was a little late leaving the grid. 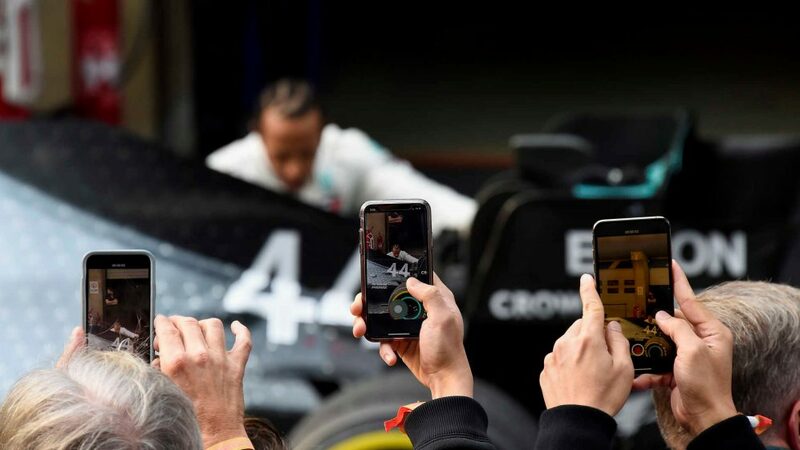 The cameras loved the American, and having him around, and it didn’t seem to have an adverse effect on the world champion. Far from it. 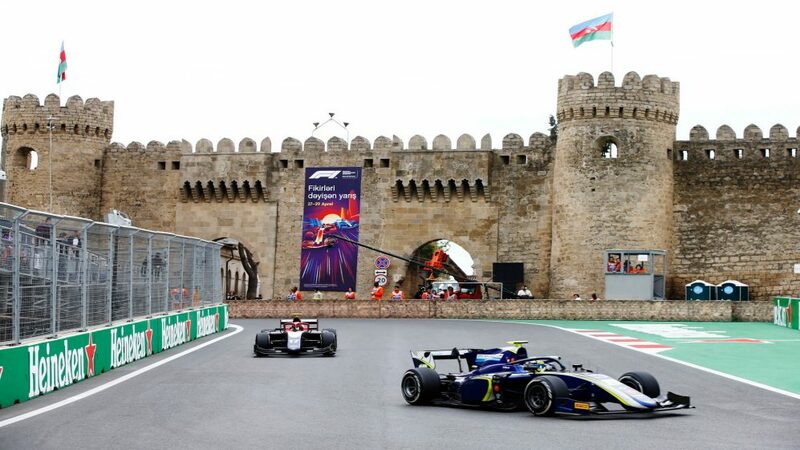 I’m a great one for homogeneity, so I like the idea that GP3 is to be renamed Formula 3 for 2019, though I‘m surprised to learn that neither of the current hot teams in this year’s European F3 Championship, Van Amersfoort Racing or Motopark, will be competing. Seems odd to me. The new Dallara F3 2019 was unveiled at the Yas Marina Circuit over the weekend. It’s a compromise between the current GP3 Series and FIA Formula 3 European Championship cars and features a bespoke, naturally-aspirated, 3.4-litre Mecachrome V6 producing 380 bhp at 8000 rpm. It complies with the FIA F3 2019 safety standards, which include anti-intrusion panels and a steel halo. This marks the final step in the process of bringing the FIA Formula 3 Championship on to the same platform as Formula 2 and Formula 1. While that’s been an important goal for the FIA, it’s also a much neater solution. I for one can't wait to see the new cars race.